Effective Today: isoHunt Shut Down "Just Another Stupid Move Against Piracy"
I woke up on 12 June 2012 and found out that Pirate Bay was blockaded and this morning I visited Facebook and found that isoHunt is shut down, and this time for good. I used to be a netter and really depending on those kinds of site, thought I’m no more spending my 24 hours in front of laptop and surfing the internet, I know some of you might be mad about this shut down since isoHunt is one of the most popular BitTorrent sites. Speaking of piracy especially from internet; sometimes I feel hopeless even the mighty Google found it is really difficult to fight against it because the only possible solution for piracy to be extinct is by eliminating the pirate or all contents to be pirated; which is impossible. Somehow, piracy culture reminds me of Monsters you found in all Rick Riordan’s books. No matter how hard heroes has tried to kill them and send them back to Tartarus, they always be able to regenerate and coming back to the world. The theory is the same; however does it mean that you should give up on piracy? Well, the same question then, should heroes give up on monsters and let them lurking in the world? I don’t think so. Monsters might be able to regenerate but also heroes, there will always heroes to fight monsters and in some circumstances heroes become friend of monsters. Here we are as the heroes or as monsters? I know it’s a trick question because I’m not a hero but I don’t want to be a monster either, but I could live with half hero and half monster. Yeah, since there is always two sides in every person’s soul, well at least I don’t want to be a hypocrite. Indonesia is not a country where you could find cheap movie, music and books and I do piracy like downloading ebooks and epubs but at the same time I also the member of some major online bookstores in Indonesia and purchased bunch of books for my collection every month, but my needs of books is not once a month but like every day or even every minute, so I need solution to get book fast and cheap. That’s why I call myself half hero and half monster. 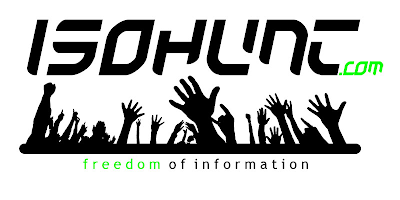 Interesting thing about isoHunt is, well like the others similar websites, they are fighting for “Freedom of Information”, could anybody explain to me regarding this matter? What kind of freedom they really want and what kind of information that supposed to be freed? Difficult question isn’t it? But in my wildest dream I also want a world where all information you want to get is free, well at least until now there is no charge against dream, so dream anyway. Should we blame IsoHunt for all the piracy practice? Interesting fact, MPAA which represents some major studios you ever know like Paramount Pictures, Walt Disney, Sony Picture Entertainment, Universal Studio, Warner Bros and 20th Century Fox might launched the legal challenge to IsoHunt and forced Gary Fung to pay $110 million settlement, however do you know that perhaps half of people who work for those studios also depend on IsoHunt for some home entertainment? Who is the hypocrite here? Besides, would those studios collapse because of this piracy? I don’t think so, they do it because they just lost like, well 5% from their income, yeah they still could make billion Dollars with or without isoHunt even the $110 million from Gary Fung could not compete with billions they make with their high quality movies. If they lost because some idiots just making some stupid movies and people prefer to download and watch it in bad quality format instead of paying bunch of money to go to cinema and watching it in 3D, then no one should be blame but themselves. I personally don’t mind to pay extra money for the best experience of 3D movie in big cinema as long as the movie is good but I will feel like punching someone in the face if I pay extra money for low quality movies. Furthermore, just stated by Gary Fung, though he should pay the settlements and forced to shut down IsoHunt, the truth is the 95% of torrent files could be easily found in Google and indexed in several BitTorrent websites. So, what’s the point? Should we shut Google down too? No answer for that. As I said, it's just another stupid move against piracy. Yeah, at least we still could get farewell statement from Gary Fung. At least we know, he will be back. Raining here and I stuck in my office cannot go home. So, here I am writing something though the fact is I cannot concentrate on anything because I have unfinished The House of Hades to read but unfortunately I left the book in my cozy room. Well, another sneak peak from The House of Hades is not a crime I guess. It is your choice whether you want to read this post or not. Do you remember Calypso? No no, don’t ever think about Calypso from Pirates of the Caribbean. What I’m talking about right now is Calypso; the daughter of Atlas. Yes, the one who was cursed to never leave Ogygia Island. Actually, it’s kind of ironic you know and I feel pity about her. Since I was born, I’ve been thought to always respect and follow what your parents’ said or asked and the irony is Calypso was cursed by the Olympians because she supported her father, Atlas, on the war. Unfortunately, the war won by the Olympians and all Titan are punished or cursed. Well, Calypso is just unlucky because her father is Atlas. Calypso is not only cursed so she cannot leave Ogygia but also cursed so she will fall in love with every hero who somehow drifted to her island’s shore but in the end the hero would leave her. One of the heroes who ever landed in Ogygia is Percy Jackson. Yes, though surely, who doesn’t fall in love with Percy Jackson? 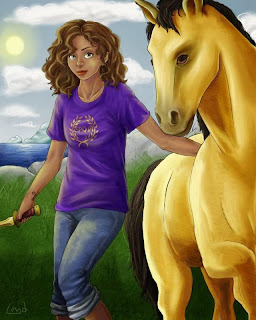 But yeah, no one would ever defeat Annabeth Chase in every way, she is good and well trained with sword and like it is not enough, her brain is also as sharp as her sword, even the beautiful three hundred years old Goddess like Calypso cannot compete Annabeth; the daughter of Athena. I never think about her before until I read The House of Hades. Last night I just stumbled to the chapter when Leo Valdez is drifted to Ogygia. The son of Hephaestus landed in Ogygia? Sounds like something that would never happen but since then I cannot stop smiling. I always like Leo, he is like the cool kid with super acute ADHD. He seems never stay still, his hand always works on something, creates something or if he doesn't work or create something, he thinks like he works and creates something. He always has a big crush on Hazel but that girl has Frank Zhang in her side, though according to Leo he is worth like two or three Frank, still Hazel chose Frank instead of him. And this time, his trip to Ogygia just changed everything. Do you want to know what has been changed? Well, I want to know too but right now I’m stuck in my office with no idea how to go home. Gosh… why I didn’t bring the book to the office with me today??? Remember the last time I posted review of The Mark of Athena? Gosh, I just can’t believe that was a year ago, really, time flies very very fast recently, perhaps it’s because world is getting older and earth starts feeling tired of its rotation and the best way to end it is by rotating faster and faster. Well, never mind about how old our earth is because I have something in my hand that will help me forgetting how fast this world will end; it is the House of Hades. If you afraid where you will go after this world end, whether you will go to hell or heaven, well Percy and Annabeth have faced their own hell even before the end of the world; a hell called Tartarus, the place where Titan are thrown and sliced into pieces by his own son, the mighty Zeus. If you have read The Mark of Athena you must know how finally Percy and Annabeth are ended in Tartarus. 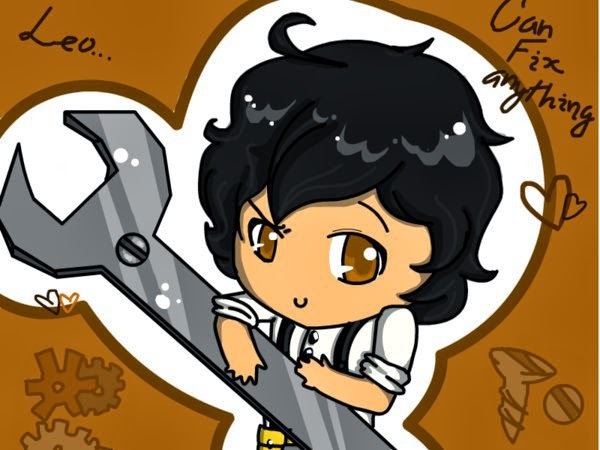 Do you think it is really Leo Valdez’s fault? I don’t think so. Leo might have cracked the fortune cookie given by Nemesis and as the Goddess said, there will be the price for that. And according to Leo, losing the team backbone and brain a.k.a Percy and Annabeth is the price he should pay. Well, perhaps it is really the price he should pay but once again, do you think it is Leo Valdez’s fault? Hazel Lévesque is right. It is not Leo’s fault; it is Gaea’s fault. The Earth Mother has set the date of August 1st to rise because August 1st is the day of hope. Well, I think this Goddess of earth is such a drama queen, she really expects a dramatic entrance by choosing the day of hope to destroy this world. Let me tell you something, drama queen would never live long. That’s why, there is “Long Live the Queen” but nothing like “Long Live the Drama Queen”. Yeah, perhaps I am a bit disorientated here but seriously I don’t really care, I just hate Gaea and all drama queens perhaps, while her is a, well Gaea and at the same time is also a drama queen, it just makes me hate her more. I haven’t finished reading the House of Hades because the book just arrived yesterday, so this post is not going like a review but much more like a teaser or a sneak peak. What do you think about Hazel Lévesque? Unlike her half-different generation-brother Nico Di Angelo, Hazel is nothing look likes Nico. According to Leo, as the daughter of God of Underworld, Hades, (World’s Worst Absent Father according to Hazel), Hazel is too cute, well aside from when she rides Arion and her ability to summon nugget gold from ground, Hazel is just like a normal girl from remote area because she comes from different generation, not to mention has died once back in 1942, so she is a bit old-fashioned. While Nico, according to Leo is creepy, well I disagree with Leo, because perhaps Nico looks creepy but a guy could summon a thousand dead armies from thin air is supposed to be considered as cool and totally eligible for a date. Yeah, don’t mind about my opinion by the way. So, Nico might be creepy but Hazel is not because Hazel is unlike Nico who resembles his father, Hazel is much more like her mother, or perhaps better (as said by Hecate, The Goddess of Mist). One thing we all know about Hazel’s mother is she was well known as a witch and she could do magic. In Greek Mythology, nothing like magic is ever mentioned because if you have read The Son of Sobek, where Percy Jackson and Carter Kane met, Percy doesn’t have any idea that what Carter Kane does is ancient magic. So, what do you think about this ‘magic business’ run by Hazel’s mother? Do you think Hazel Lévesque really could do magic? Well, there is only one way to answer that question; let’s follow the adventure of Percy Jackson and Annabeth Chase in Tartarus and keep the track of the rest of the team in Leo Valdez’s ship Agro II in The House of Hades. Next Post: I really really want to write about Leo Valdez; this guy is just simply funny.